There is something satisfying about establishing a rhythm on this project. The planking is one of the few areas where there is an opportunity to repeat a series of steps and learn to improve at each iteration. The movements become familiar, the use of the tools more intuitive and the fairness of the bevels and gains improves. There has been an addition to the tool chest. After three trips to the Vancouver tool library to borrow the same rabbet plane, I realized that it was maybe worthwhile to invest. 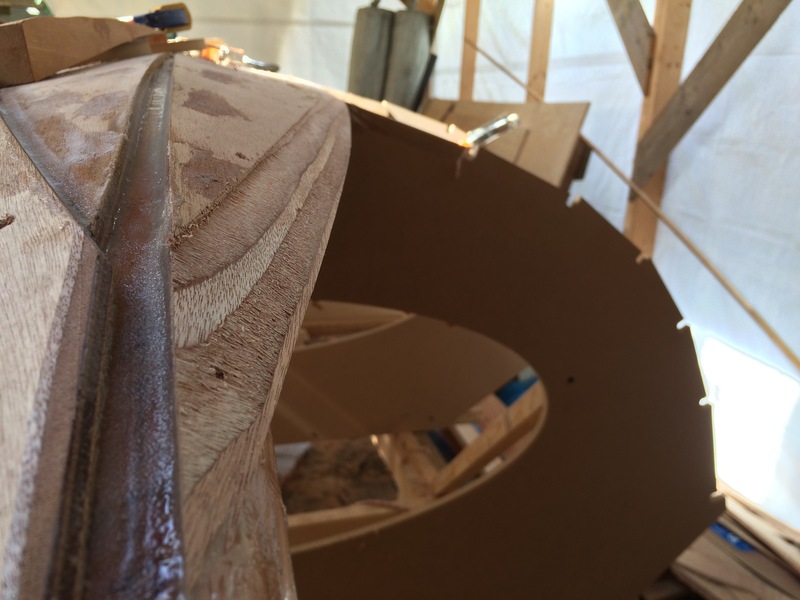 So I bought a rebate plane that just uses a 1″ chisel as the iron from Lee Valley. It was 30 degrees Celsius today in the shade so I had to work fast even with the slow hardner today. This is getting exciting, the third strakes are close to the boats waterline, so we are getting a good sense of the boats under water pofile. 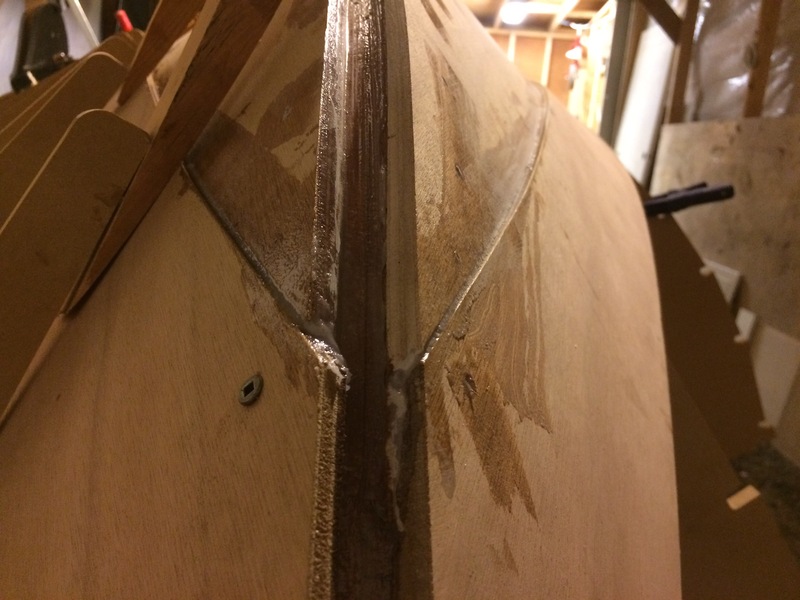 It amaze me how little rocker there is along the length of the keel and how much nearly flat surface there is that is almost the full beam of the boat. I can see that despite being a double ender this boat might be quite capable of surfing down the swells on a downwind run. 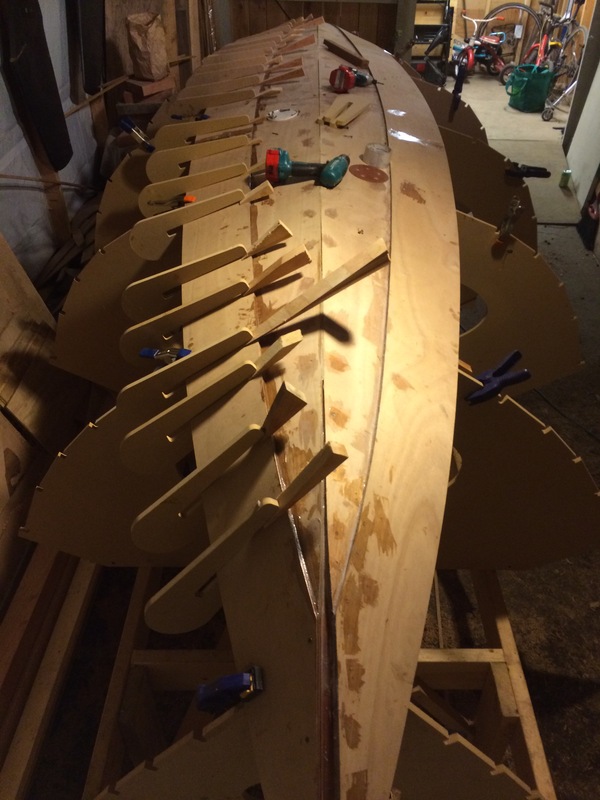 Cutting the gains was much easier this time around than it was on the garboard planks. 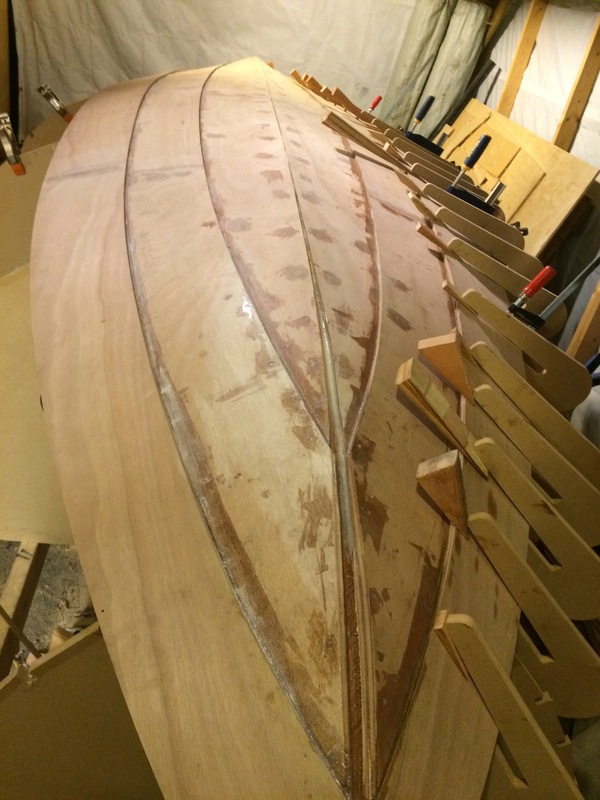 After so much slow progress with not much boat to show for it, I’m finding it immensely satisfying to attach these planks. 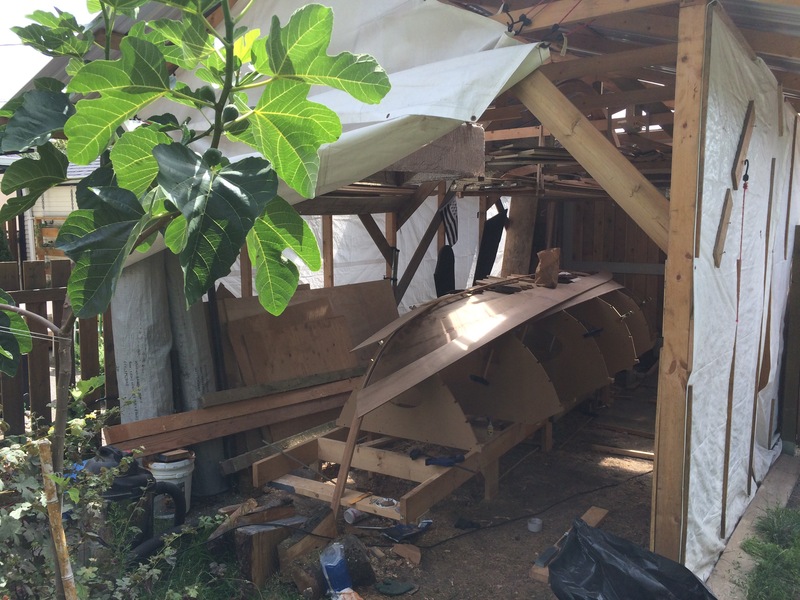 I have to squeeze my boat shed time between other competing obligations and interests. Not to mention a desire to hold on to a good nights sleep. 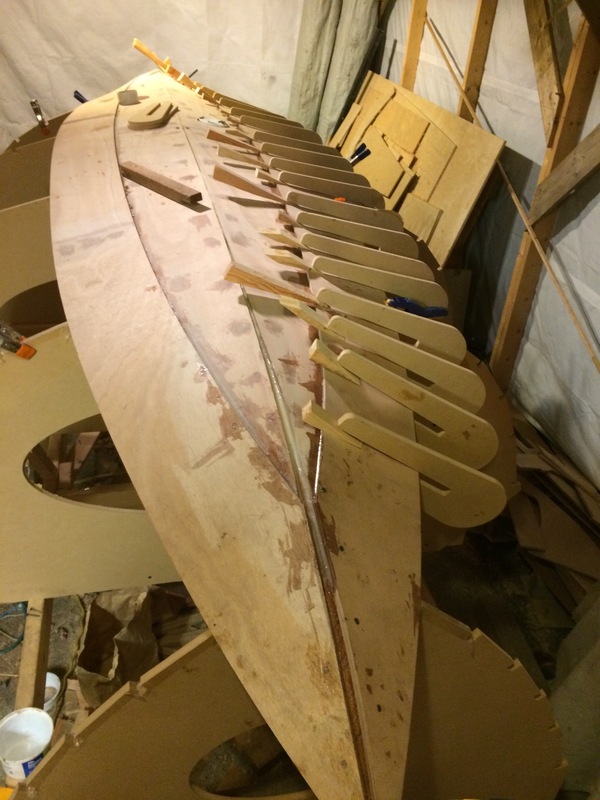 As such my boat building seems to progress in micro-bursts. 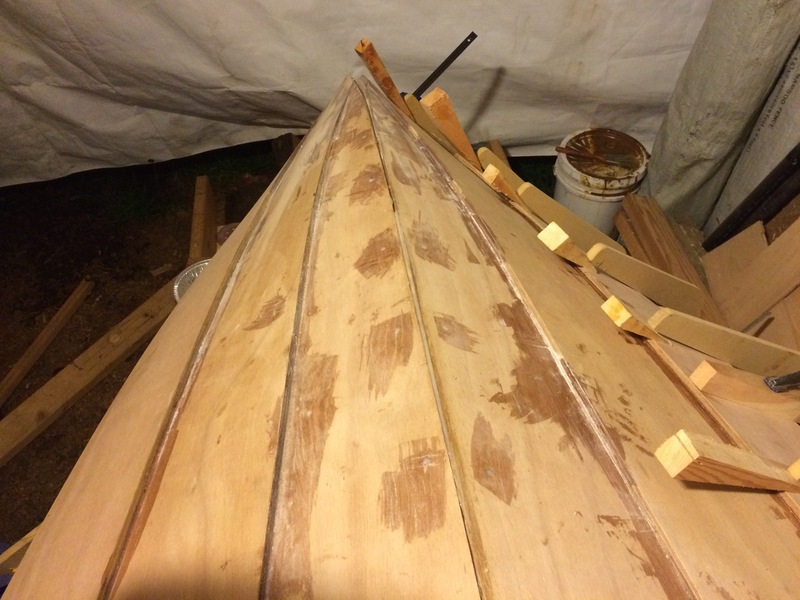 I in a few hours I was able to cut the bevel and the gains on the port side garboard to get ready to glue the second strake. 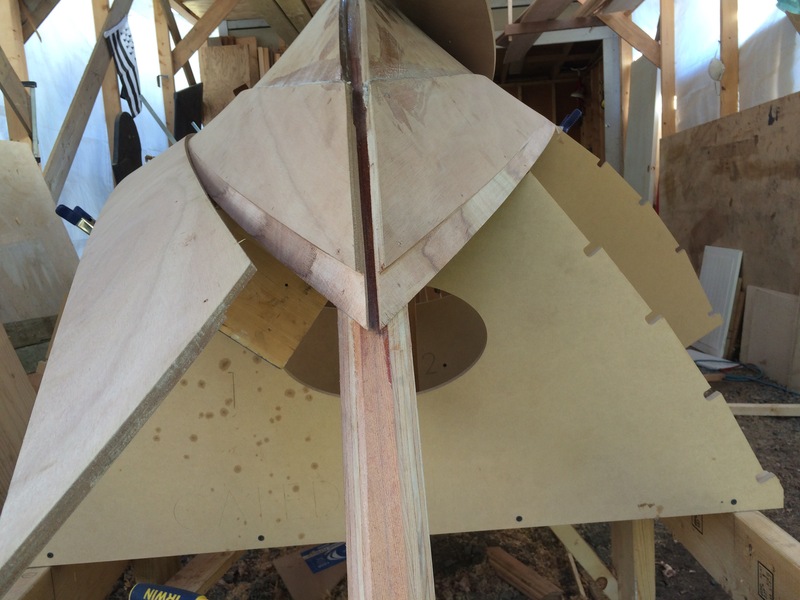 The change in angle between the garboard and the second strake is large enough that it seems that the bevel takes away all the gain. 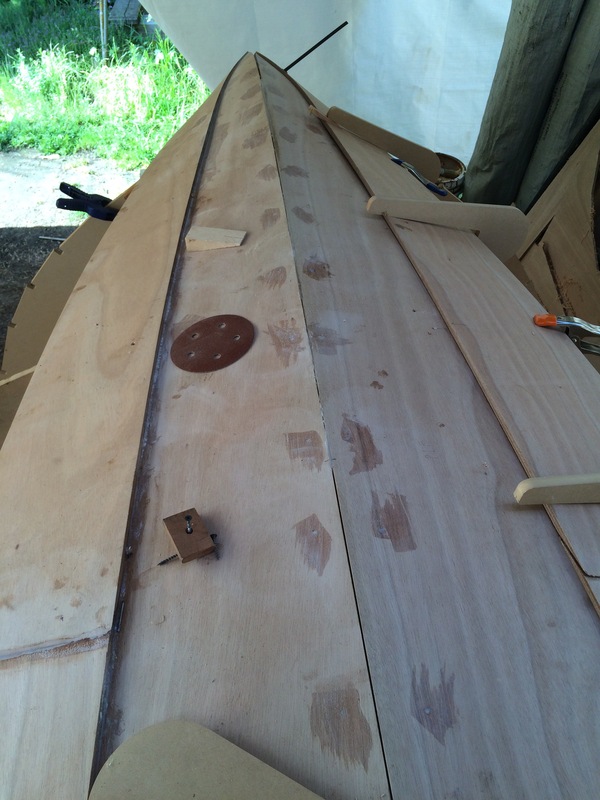 So that the plank does not appear to sink down into the garboard. Maybe it is possible to do it by cutting down deeper and reducing the gluing surface. 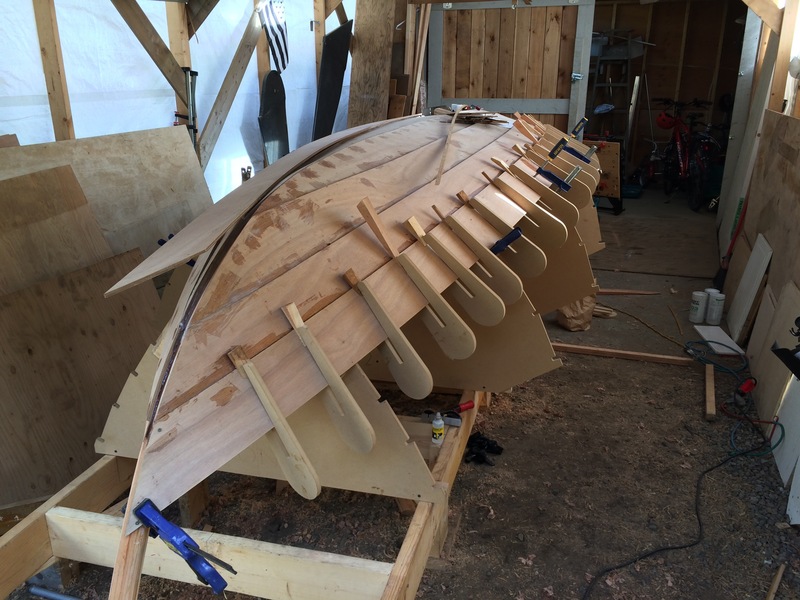 But to my eye, it seemed better to focus on the fair landing of the plank on the stem rather than trying to worry about the gain on the garboards. My hunch is that all the subsequent strakes have much smaller bevel angles and so the gains will look better. 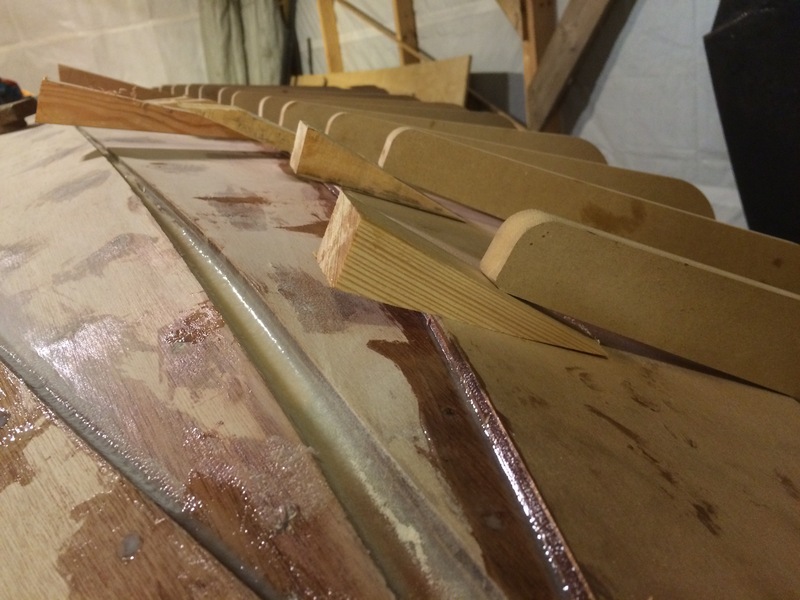 I managed to get out at 8:15pm and glue the port strake #2 this evening. I’m pretty pleased with the way it looks. port strake #2 glued, seen from the bow.